Teaching good organizational skills to your child will serve them well their whole life through. Preschool is an ideal time to introduce your child to organization: what it entails, how it helps, and the purposes it serves. Below are a few tips to help you prepare your child for the tasks and responsibilities of organizing. The concept of being prepared is a new one for most children. They first need to understand how being ready benefits them and equips them with the necessary tools and skills to tackle the tasks at hand. Have them name certain tasks, such as getting ready for school or packing their backpack. Then, break these tasks down into parts, identifying each one. For example, when showing how to pack a backpack, list all the items that must be gathered for the day ahead, encouraging your child to look at the whole day and the different things they will need. Lists can come in handy no matter where you're at in life. 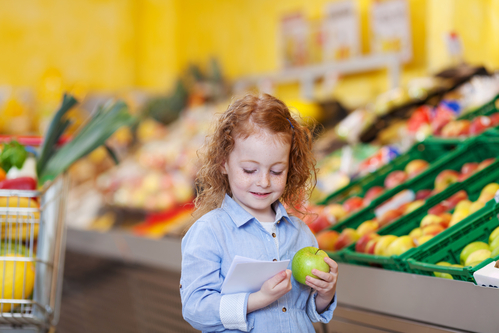 Show your child how to make lists of things to be done and items to be collected for the day. Logical reasoning is often a part of list-making; for instance, you might want to say, "You have gym class today, and gym class means you'll need to bring your gym shoes." Your child will start making connections between their daily schedules and what they'll need to have ready for what the day has in store. Also, teach your child how satisfying it is to cross out a completed task on a to-do list. Kids can easily lose their trains of thought and get preoccupied with other things. As you teach them about organization, keep them on track. When their minds wander, gently remind them of the tasks waiting to be accomplished on their list. Help them see the link between being organized and being ready for their day ahead at preschool; for example, tell them that if they don't pack their gym shoes, they won't be ready to participate in gym class. When it comes time to enroll your child in preschool, trust the learning professionals at FasTracKids. FasTracKids provides a variety of learning options for Brooklyn, New York-area students, including after school programs, summer camp, and gifted and talented test prep classes. Call (718) 260-8100, visit them online, or send them a message on Facebook or Twitter to sign up for classes today.